The Intergovernmental Panel on Climate Change (IPCC 2014) forecasts high costs for reducing the concentration of atmospheric CO2 to meet the 2°C target put forth in the Paris Agreement, with costs in many instances reaching more than $ 1,000 per ton of CO2 emissions by 2100. As a part of its commitment to contribute to global and national climate change mitigation and adaptation strategies to address Sustainable Development Goal 13 - Climate Action, Dilmah, looks at its climate adaptation strategies that focus on limiting the carbon dioxide released from fossil fuel into the atmosphere and the reverse, including investment in climate-smart technologies. A new report by the US National Academies of Sciences, Engineering and Medicine concentrates on cost-effective climate-smart technologies that can take carbon dioxide from the atmosphere and return it into terrestrial ecosystems and geological reservoirs. Biochar application improves moisture retention in soil, securing agricultural produce against droughts. This product of pyrolysis is hailed for its potential to improve soil functions by increasing soil microbes, eliminating toxic components from soil and reducing soil acidity. 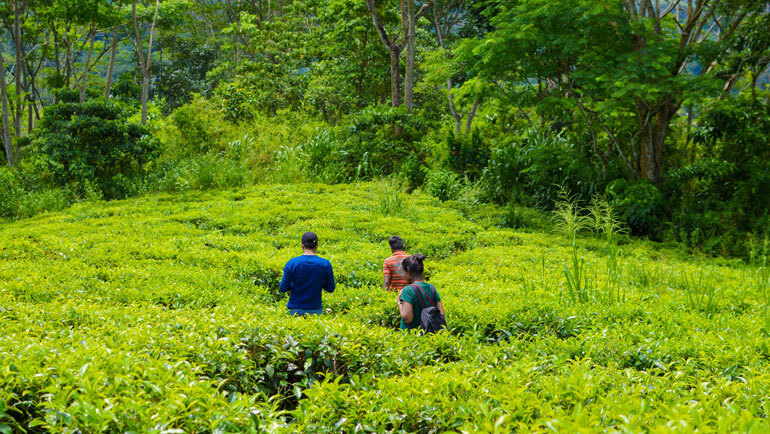 Dilmah, an agricultural corporation primarily dealing in tea, begun biochar application in its tea gardens in 2010, is manufacturing its own biochar from its tea waste averaging at 300 kg per day. The report says that at between $ 20 and $ 100 per tonne of CO2, biochar is a far expensive option. However, considering its high moisture retention which can ensure agricultural fields are secured against drought its capacity to reduce methane emissions from paddy fields and farmyard manures, biochar is a promising environmental-tool for a long-term carbon removal strategy. The report states that afforestation/reforestation and BECCS (Biomass energy with carbon capture and storage) if extended to hundreds of millions of hectares of arable land without clearing existing tropical forests or disrupting the food supply, then these options could deliver more than 10 GtCO2/y of negative emissions. 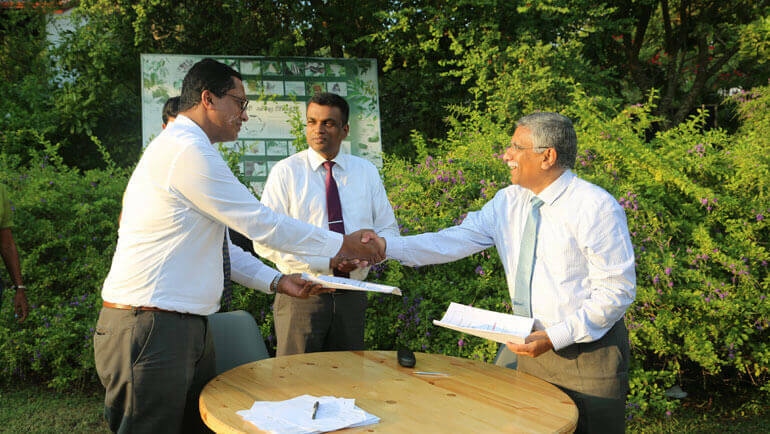 Dilmah’s dual objective Greening Batticaloa project in Eastern Sri Lanka targets the planting of 1 million cashew trees by 2019. The initiative started as an immediate response to the forest cover lost due to 2004 Indian Ocean Tsunami and high rates of unmanaged deforestation in the region was designed also to provide new livelihood opportunities for the local communities. Annual revenue from harvested cashew nuts is estimated at 1 Billion LKR, even if only 35% trees attain maturity. Likewise, the Endana Nature Corridor is a reforestation project is expected to connect forest fragments between Delwalakanda and Walankanda, adjacent to the Sinharaja World Heritage site. The proposed 42 ha is the second biodiversity corridor to be established by the organization. Previously, a biodiversity corridor was initiated with the involvement of the local community to link Pitakanda and Walankanda forest areas in Ratnapura District. The Endana Nature Corridor will serve to reconnect threatened floral and faunal populations in the fragmented forest patches. The project is being documented thoroughly with the intent of sharing the insights and lessons learnt to design replicable models. The report points out that national efforts to plant trees could be a lot more effective if trees were planted on degraded lands. “The Life Project materialized through Biodiversity Sri Lanka, a joint initiative by Dilmah Conservation, IUCN-Sri Lanka and Ceylon Chamber of Commerce, is a unique collaboration between the state sector, private sector and non-governmental organizations. 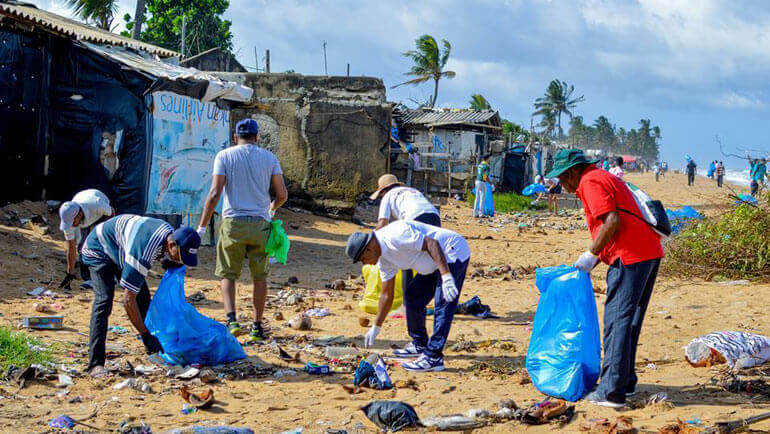 It allows us to tackle multiple environmental challenges and change the sustainability landscape of the country to deliver a national outcome that secures Sri Lanka’s future for generations to come", said Dilhan. C. Fernando, CEO Dilmah Tea and Chair Biodiversity Sri Lanka. Biodiversity Sri Lanka today is a 70-member organization established to promote active engagement among private sector companies in the field of environmental conservation within Sri Lanka. The report by the US National Academies of Sciences, Engineering and Medicine mentions that the use of renewable energy resources should be maximized where possible to maximize the net emissions removed from the air and the ultimate impact that direct air capture and sequestration could have. 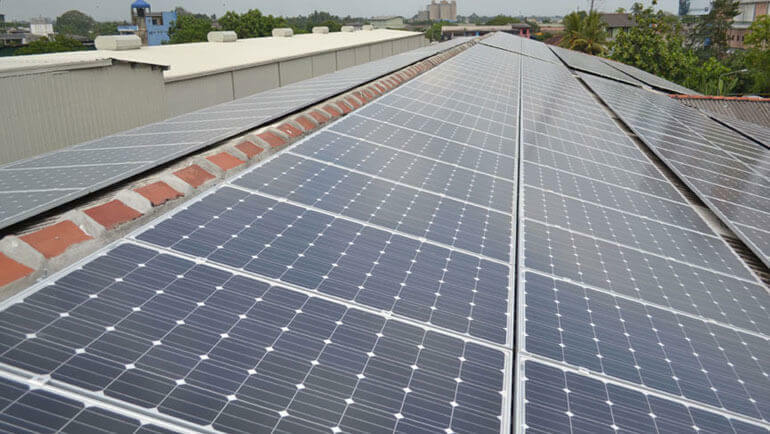 Dilmah has one of the country’s largest privately owned solar power plants with a net generation capacity of 250 kW. Beside this, a new hydropower project begun in 2018, is expected to generate 1.5 million units of electricity annually; becoming the company’s largest power generation method and contributing by over 90% to the firm’s carbon neutrality programme. Dilmah’s philosophy “Business is a matter of Human Service” integrating family values, environmental protection, social responsibility is deeply-rooted in the company’s culture and shared by each of its member who actively participate in the company’s environmental conservation projects and activities. 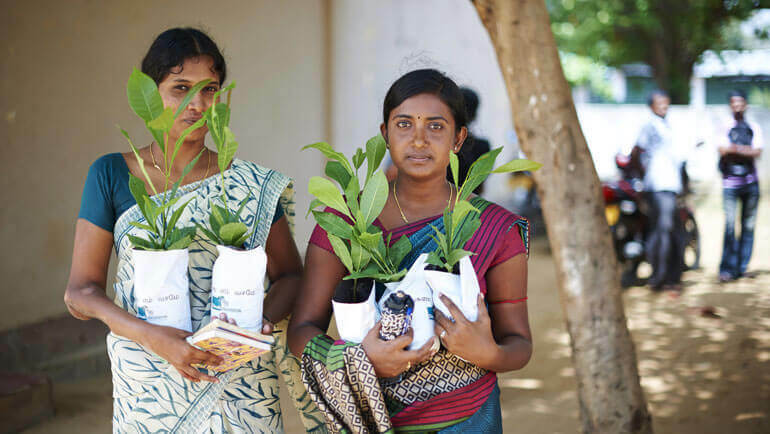 The success of Dilmah is shared with the underprivileged – 10% of Dilmah’s global earnings contribute to the company’s humanitarian and environmental initiatives through MJF Charitable Foundation and Dilmah Conservation. Projects like the Small Entrepreneurship Programme has supported over 1500 individuals by providing alternative livelihood opportunities to the underprivileged while the Women’s Development Programme provides skill development and entrepreneurial training to promote and inspire women from marginalized communities to develop their own businesses while improving their living standards. 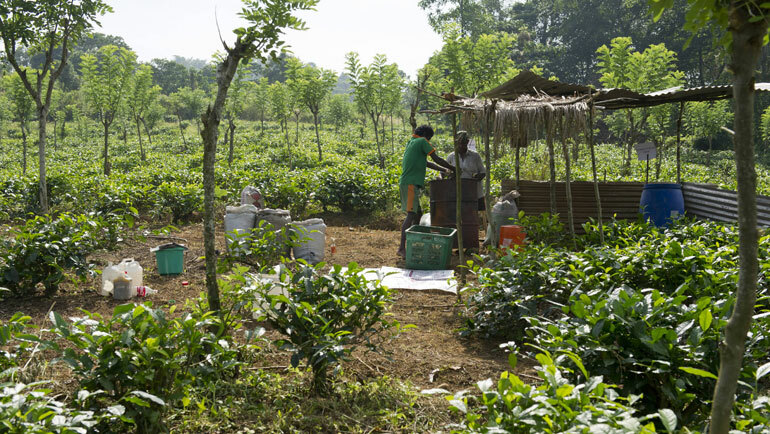 Dilmah was founded on the knowledge of its enduring connection to the land and the surrounding communities in which it operates with a comprehensive commitment to minimizing its impact on the planet. Dilmah’s climate initiative thus looks towards finding practical solutions that fit the changing social and technological context, strengthening the island’s agricultural sector, and extending its active engagement to address the climate change adaptation and mitigation objectives outlined in the National Adaptation Plan 2016/25 and the UN Sustainable Development Goal 13.